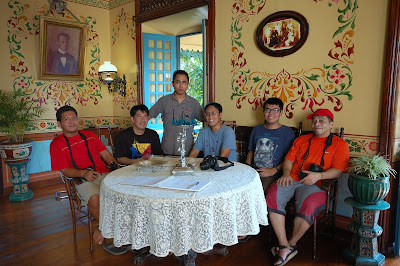 in this series, it was the first time that travel bloggers and photographers erick, ironwulf, lagalog, lantaw, lawstude and dong ho went out together on a day trip to the beautiful town of Taal in Batangas. this month of December i'm giving out a series of contests as a way to thak the followers and readers of eskapo. to start the Taal series, you just have to arrange the three things from the list below as to which one i enjoyed the most in this series. as simple as that. one who gets to arrange it right, gets a surprise prize. contest runs from Dec 1 11:59pm until Dec 3 12:01am. first with what i like the most. note: will be announced after the Taal series. could it be X, Z, Y? hi, trying my luck. have a good night. my say: z, x, y! Uy, alam ko na kung sino ka sa picture...very cool smile dong ho! :D hehe! oy, alin ka jan sa picture dongho? Wow daming pa-contest dito! More exciting to be here. excited nako sa suprise gift! tawilis is yung ginagawing tuyo? YZX for me... that's from a traveler's POV. I'll go with ZYX. Every combination seems to be represented here! yan ang sabi sa akin ni madam auring. Abot pa ba ako? Ito sa'kin! the BIG boys in one place. what more can you ask for~~~~~looking forward to this series. Which one are you dyan sa hanay ng mga gwapo, dong? winner of the contest will be posted by the end of the taal series. good news is that someone got the right arrangement.